One of the country’s top producing mortgage brokers, Sharnjit Singh Gill boasts an impressive 94% funding ratio. It’s just one of the reasons the 71-year-old has been nominated for the Mortgage Broker of the Year Award (Fewer than 25 Employees) at the 12th annual Canadian Mortgage Awards on April 20 in Toronto. Gill’s secret to such a high success rate of mortgage funding is his unflagging commitment to weighing his clients’ and lenders’ needs. Gill is president and CEO of Verico Superior Mortgage, which he runs with his daughter, son and daughter-in-law, and one of the reasons for the small team’s outsized success is a philosophical cornerstone. Gill has been in the banking and mortgage industries for 49 years, beginning his career in 1969 at UCO Bank in India. By 1995, Gill had relocated his family to Surrey, B.C., and a year later he was working with Bank of Montreal. By 2001, Gill was a sub-mortgage broker with Approved Mortgages in Kelowna, and a couple of years later he opened his own brokerage. But it was while Gill was with BMO, where he was a top producer, that, on the advice of Boris Bozic—who went on to found Merix Financial—he pursued a career as a mortgage broker. 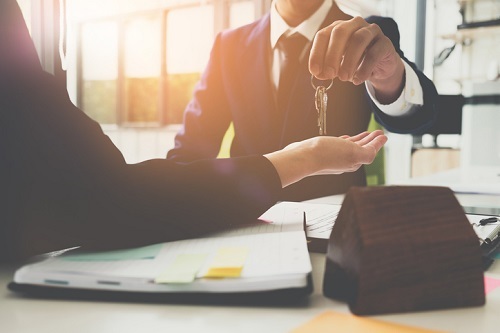 Gill is far from the only mortgage professional who has years of banking experience, but he’s leaps and bounds more sensitive to underwriters’ needs than the average broker. Therein lies the secret to his success. Wow Mr. Sharanjit!! Congratulations to you and your team. Your story is very motivating. The Mortgage Brokers clan needs people like you to add further respect and professionalism to it. Thanks, Romesh for your encouraging comments- that motivates to ACHIEVE MORE AND BECOME MORE. Many Mortgage Brokers have suggested me to start coaching new comers once a month- at least I can pass on my knowledge and experience to young generation. Many Congratulations Mr. Sharnjit. Truely an inspiration !! !